outlined characters, and conversational dialogue to drive home the philosopher’s often provocative arguments. It has been said that the entire history of Western philosophy consists of nothing more than "a series of footnotes to Plato." Vastly entertaining, occasionally shocking, and always stimulating,Republiccontinues to enrich and expand the outlook of all who read it. rulers to succeed. Plato felt governors must be philosophers so they may govern wisely and effectively. 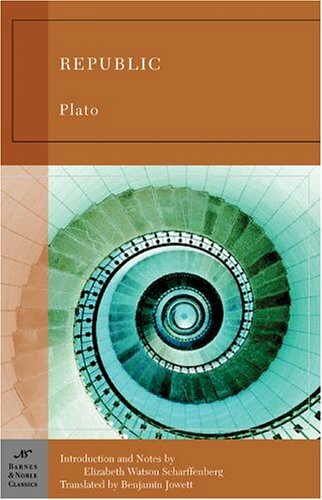 Plato founded the Academy, an educational institution dedicated to pursuing philosophic truth. The Academy lasted well into the 6th century A.D., and is the model for all western universities. Its formation is along the lines Plato laid out in The Republic. Many of Plato's essays and writings survive to this day. Plato died in 347 B.C. at the age of 80.